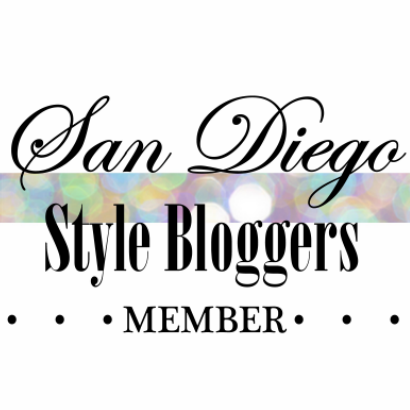 San Diego Style Bloggers presents 2016 Style Refresh Party at Bliss 101! 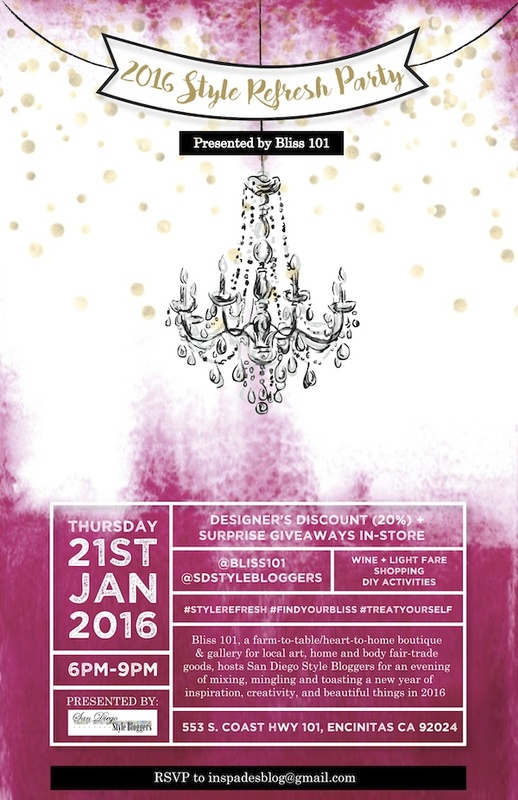 Join us for an evening of mixing, mingling and toasting to a new year of inspiration, creativity, and beautiful things in 2016 at Bliss 101! Bliss 101, located in downtown Encinitas, is farm-to-table / heart-to-home boutique for local art, home and body fair-trade goods. Instagram Contest: Win a $100 GIFT CARD to Bliss 101! Do you love cooking with your family? Candles and perfume for relaxing and pampering? Art? Fashion? Design? Or, are you just inspired by beautiful things? Find and take a picture with an item in the store that inspires your BLISS. Winner will be randomly selected for a $100 gift card to Bliss 101! Must include hashtag and @bliss101 handle. Post by 11:59 p.m. on Thursday January 21 and winner will be announced next day on Instagram.